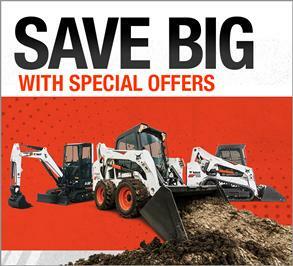 TOOLCAT UTILITY WORK MACHINES: 0% APR FOR UP TO 24* MONTHS. Sheer Quickness or Variable Power. Take Your Pick. Choose the right transmission for your line of work. TOOLCAT WORK MACHINE. 2 MODELS. HUNDREDS OF JOBS. 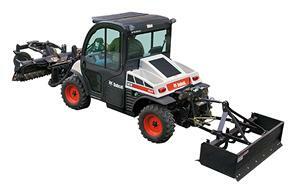 Do the work of a pickup, skid-steer loader, tractor and more. Transport employees, haul cargo, pull a trailer with supplies or even operate front-mounted attachments. 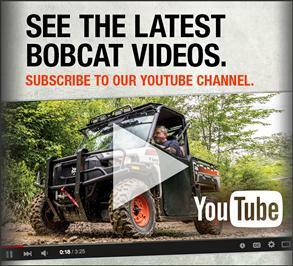 With a Bobcat utility vehicle, you'll complete projects and chores faster than ever. 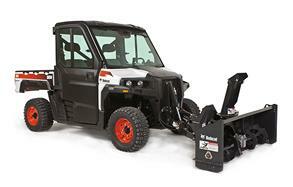 Toolcat™ utility work machines unite the benefits of a loader, utility vehicle, pickup truck and tractor. 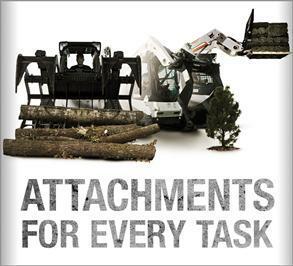 Lift, haul, tow, use 40+ attachments and easily transition between tasks.